There's no better time to solidify a customer relationship than when a purchase is made, especially in the eCommerce world when you don't have the face-time of a brick-and-mortar shop. To give you an extra edge, we've rounded up five easy ways your shipments can do more for you with online order fulfillment extras. Take a cue from your mother—always send a thank you note. Etsy sellers are the most gracious community of business owners out there in this respect. In fact, we don't think we've ever received an order from Etsy that wasn't nicely packaged—complete with a personal note. If your volume is too high to send every customer a handwritten note, have some kindly worded cards printed up to include with your packing slips. These should always include your social media accounts for easily tweetable pictures of their order. If you keep records of past purchases, you could even ask a customer how they liked their last order, which shows them you care! Make sure your branding runs throughout your packaging and shipping materials. This can be as simple and affordable or as luxurious and high-end as your business allows. Here are just a couple of ideas for branded packaging materials: a branded self-inking stamp, custom packaging tape (a la Amazon), logo stickers, custom shipping boxes, branded tissue paper, screen-printed cloth dust bags, etc. Not everything has to (or should have) your logo on it, but well-rounded branding shows your customers your attention to detail and helps them remember you as a high-quality business. Have a new product that complements a particular customer's order? Use that opportunity to surprise them with a free sample. Your wholesale suppliers will typically be thrilled to provide you with samples if it means you'll sell more of their products. This is also an effective way to rid yourself of slow-moving inventory, though we suggest making sure the products match well with a customer's order. The last thing you want to do is put someone off by throwing a bottle of wrinkle cream in with an order of baby shampoo. Say you own a fair-trade jewelry boutique and your friend owns an organic apothecary—and you both make close to the same number of online sales each month. Your target customer base heavily overlaps, but you don't compete with each other so it is a match made in marketing heaven. Capitalize on this by trading cards, so to speak. You include a postcard about their business in all shipped orders and she includes one about your business in hers. 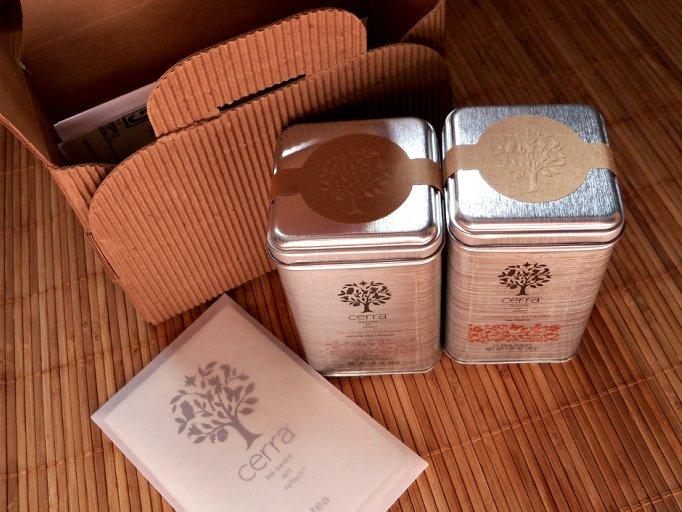 The tea company pictured above includes a cute little booklet with background on all seven types of tea they carry, along with space to journal while you enjoy a cup at home. This is an excellent example of informing your customers about your other products in a non-salesy way. Be judicious about when and where you approach discounts by using your customer profiles. You might try offering a free or upgraded shipping code for their next purchase. Or use the opportunity to let customers know if you have a sale or event coming up. Or perhaps you send every customer a loyalty discount shipped with their third order. You know what's best for your business. Anything else that's worked wonders for you? Let us know in the comments! How Do You Define Great Customer Service? In Ruby Newell Legner's "Understanding Customers," she finds, "It takes 12 positive experiences to make up for one unresolved negative experience." Are you awake yet? According to research, customer service seems to be the strongest factor affecting the star-rating of Yelp reviews. A customer who praises service is more than five times more likely to give that business a 5-star review than a 1-star review. 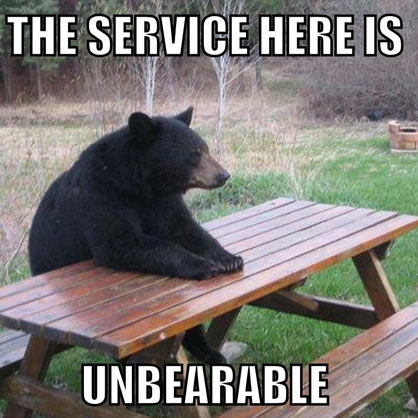 Nearly 70% of "bad" customer service experiences are given a one-star rating. Your reputation (online and off) directly correlates to sales. In a Harvard Business School study, a one-star increase in Yelp ratings leads to a 5-9% increase in revenue in independent restaurants. Not only are good customer service experiences leading to higher revenue, but Bain & Company found "a customer is four times more likely to defect to a competitor if the problem is service-related rather than price- or product-related." A customer is four times more likely to defect to a competitor if the problem is service-related rather than price- or product-related. We know just how important customer service is to a business. It can mean the difference between keeping the doors open or closed. How can you approach customer service to create a band of loyal customers? 1. Relationships: Think about the last time you liked being sold to—trick question, because we're fairly sure that's never happened. We imagine you probably started your business to help people do something, so put that mission first and your customers will sense that you really care. Make the relationship the priority over the sale and people will love you for it. 2. Consistency: Quite simply, be there. Keep regular hours, respond to questions on social media, do what you say you will do, be the face of your business and hire the best, most reliable people you can to represent you day-to-day. True customer loyalty takes time, and you might have many interactions with someone before they decide to never shop anywhere else. 3. Reciprocity: Help Scout discusses reciprocity as the one defining and driving force that creates loyal customers. It solidifies a positive social relationship just like it would when you always drive your friend to the airport and she always picks you up when your car is stalled. In other words, treat your customers like you would your friends and they will be your best friends. How do you define great customer service for your business? It's that time of year when it just feels right to set new goals and start new habits. 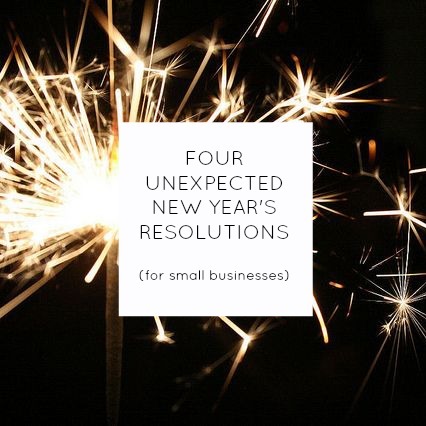 While most of us are jotting down "work out more," it's a great time for small business owners to set aside a moment to make professional resolutions for the coming year.We've rounded up four unexpected resolutions that can help small businesses grow in big ways. 1. Give more things away for free. Yeah, we mean it. For example, if you make artisan soaps, send some to the influential lifestyle bloggers and local journalists that you follow (don't skimp on the pretty packaging either!). If you make gourmet beef jerky, sample your new recipes in farmers markets and tasting events. These investments in the experience can grow your customer base leaps and bounds, but pick and choose them wisely. Sure, a huge annual food festival is going be great to show off your jerky to a lot of new people... but it's also very expensive and last year you were buried in the back tent with 17 other meat vendors. Hmm, but what about that smaller craft beer festival that's the same weekend? At the beer festival you won't be competing with as many food purveyors and it's common knowledge that beer drinkers and jerky eaters are exactly the same people. Plus, it's a charity event, so there are warm fuzzies and tax breaks involved too. We think we've got a winner. 2. Get rid of your social media. Wait, don't cancel your accounts just yet. Instead, vow not to sweat Facebook this year—delegate. Say you own a coffee shop and want to show off your baristas' gorgeous latte art. Instead of worrying about those posts yourself, ask your staff to take the reigns on project #latteartlove so they can share whenever they create something particularly inspired. Or maybe one of your baristas is a marketing student and particularly funny on Twitter. Give them the keys to the social media and let them run it. Delegate to your customers too. Make sure you have social media signage visible in places where people are likely to share. At that coffee shop, perhaps you set up a chalkboard near the beverage pick-up line and on the wall by the much-photographed watercolor painting of Nicolas Cage. 3. Drink more champagne. That is to say, meet more people. Go to networking events and even host some of your own event for your customers, neighborhood, fellow business owners, etc. Or choose a different person from your community to ask out for coffee. It could be a potential mentor, someone in your field who just moved to town or someone who just seems really, really interesting. It might be as intimidating as a blind date, but chatting is the original social networking. 4. Take more breaks. We've misled you with the title of this post (sorry!) because you were probably expecting this one, but it's a big one. Schedule personal time for yourself. Make a no laptops on Sunday policy. Take a real (yes, unplugged) vacation. Running a business is a round-the-clock job, but you can't do it on an empty tank. If you feel like you don't have enough hours in the day, take a personal audit. Identify the one thing about your day that takes up far more time than it is worth. If you can, completely cut that thing out entirely. If it's a necessary evil, find a way to make it less evil. Maybe that means delegating something, hiring a part-time bookkeeper or scheduling a block of time on Mondays to dedicate solely to customer service rather than trying to tackle it little by little each day and getting lost in it. Whatever you need to do, do it in January so that you can start taking better care of yourself and your business this year. Shopventory's New Dashboard is coming soon! 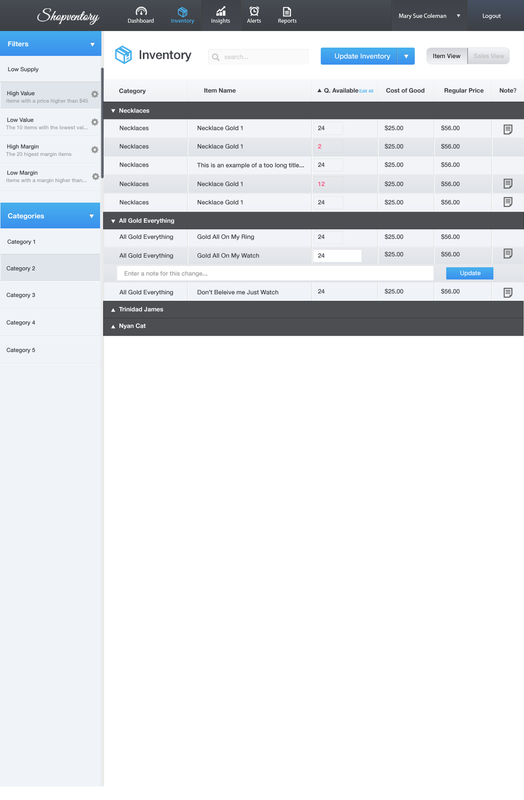 If you've been using Shopventory's inventory management software, your valuable feedback and needs helped direct this new makeover. 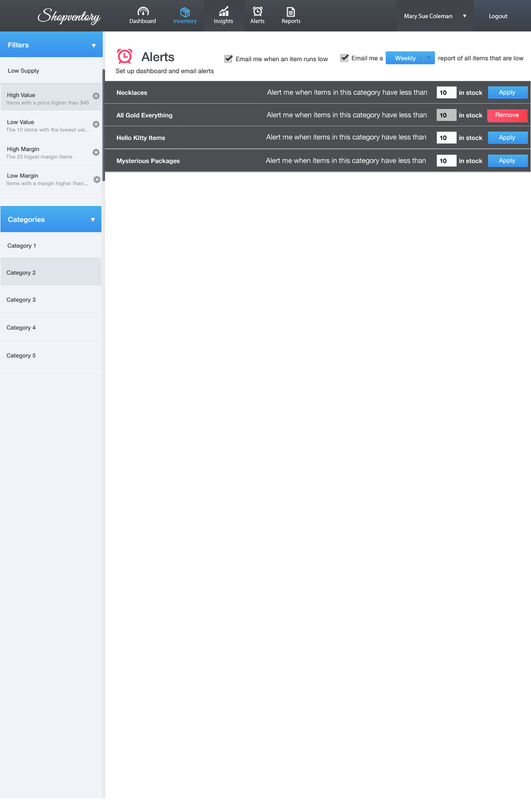 Take a gander at the new and improved Shopventory dashboard, alerts, and inventory pages! Founders Bach and Rares have adjusted everything accordingly and are excited to launch the new version soon! 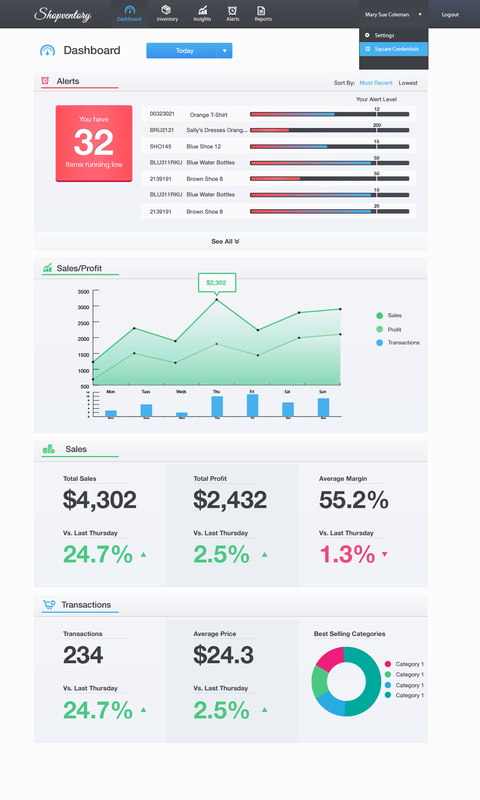 A redesigned dashboard so you can see at a glance how your business is doing. A redesigned inventory screen with the ability to filter based on category. Plus, a variety of other criteria like high value, low value, high margin, low margin. Also, a redesigned inventory screen to allow bulk editing of your inventory. The ability to get email alerts when inventory gets low. This will allow businesses to re-order before they run out. Let us know your thoughts on the new design and how Shopventory is working for you! Your continued feedback is immensely helpful and allows us to better our software so you can better run your business. Jot down your thoughts in the comments below or tweet us @Shopventory! Pricing can be a bit tricky until you get the hang of all the formulas that help you decide what each item costs. But what about when you add psychology to it all? Thomas Nagle and Reed Holden, authors of The Strategy and Tactics of Pricing, determined the nine principles, or "laws," that affect consumers' psychology in regards to their purchase decisions. With these laws, you can better adjust your price strategy knowing the psychology of your customers. 1. The Framing Effect Customers are more aware, or price sensitive, when they consider the price as a loss instead of a worthwhile gain. They also are more aware of pricing when prices are not paid as part of a bundle, but separately. You've seen the infomercials that eagerly tell you to purchase their product for only five easy payments of $49.99, right? We know that it's really just $249.95, paid in full or in parts. But marketers rely on this trick because they know customers are likely to veer away from the higher number if it is displayed. By doing this, marketers are reducing the "loss" which customers perceive. 2. Reference Price Effect When a customer can directly compare the price of a product with a competitor, price sensitivity increases. Knowing that stools at Wal-Mart and Target are cheaper than at a small shop, a customer may be wary of the price difference. This effect is difficult to work with because each customer has their own priorities and values when it comes to products. This is why you shouldn't bother making an argument that your product is better. Rather, you should talk about why your product is different. 3. Fairness Effect Customers are more price sensitive when they consider a product's price to be past the point of "fair" or "reasonable" depending on the context of the purchase. Similar to the Reference Price Effect, this concept of fairness and what the customer feels they should be paying is relatively unpredictable. Customers may have an average price they are willing to pay for a product, but there are always outliers above or below the average. If you and three friends have a barbeque, the price of all the food appears lower because the amount you pay is only a fourth of the total price. The smaller the amount of the product price customers pay for themselves, the less price sensitive they tend to be. If a customers feels that the effort required to find information about the best price, competing products or best solution is excessive, they'll less likely to be sensitive to the price. Similarly, if they have to compare an unknown product to a familiar one, and it take a long time for them to discern the difference, they'll probably select the familiar one regardless of price. Customers may also be less inclined to find alternatives on the fly if they are short on time or are given a sense of urgency. This is exactly why limited-time offers work so well. 6. Switching Costs Effect The higher the inconvenience a customer must make to switch providers, the more price sensitive the customer becomes to look for alternatives. Switching costs take many forms - investment of time, resources, complexity of purchase, number of people a buyer needs to convince (like their husband), etc. 7. Price-Quality Effect Customers worry less about the price if higher prices denote higher quality. Creating a perception of exclusivity, rareness or quality will persuade the buyer to be ok spending more. The product itself doesn't need to be of the highest quality. If the branding denotes a high-quality ethos, customers will spend. Do you truly believe that a shirt with a Nike Swoosh is worth on average $15 more than one without? It's the perception of Nike being a quality brand that convinces customers to pay the higher price. Customers are more price sensitive when the purchase accounts for a significant percentage of a customer's available income or budget. When customers are on a tight budget, they will think harder about whether or not the product is worth the purchase, compared to a spendthrift or a person with enough money to spend wildly. Knowing your ideal customer will help you decide pricing; delving deep and considering his or her spending means and income is the sort of detail that will help direct your business. Derived Demand - The more sensitive customers are to the end benefit price, the more sensitive they tend to be to the prices of the products that make up or contribute to that benefit. Price Proportion Cost - This refers to the percent of the total cost of the end benefit determined by a particular component that contributes to the end product. The smaller the components share of the total cost of the end product, the less sensitive customers will be to the end benefit's cost. This applies to high-priced products that have multiple components contributing to that cost (ie. Computers, entertainment centers, exercise packages/programs, etc.). A customer considers what warrants that high price and decides if that is worth it for them in the end. As you've probably read, some of these effects overlap. One effect can lead to another. Hopefully you have a better idea of the purchasing mentality of customers and can use it to your advantage. These will not help you predict the perfect prices that will make some buy every single time, but you can understand why someone may not purchase one thing. And also, it should be encouragement to look into your competitors so you can outwit their prices. 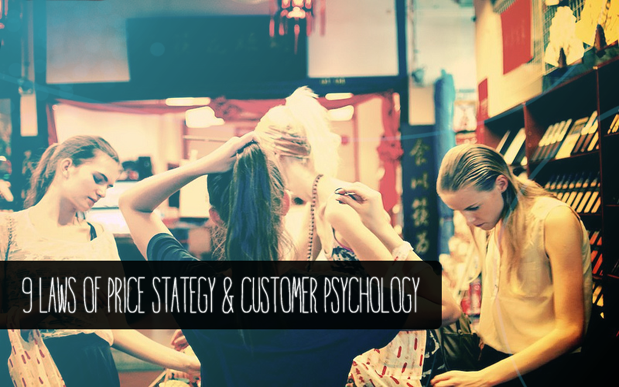 For more information on price sensitivity and consumer psychology, read Holden and Nagle's book, The Strategy and Tactics of Pricing. Or leave a comment below! Mint is a financial dashboard which allows you to manage and view your expenses, income statements and transactions. It has a useful planning tool to chart savings goals and provides feedback on credit cards or bank accounts that may be better suited to your priorities. When you input your financial accounts, Mint automatically categorizes all of your transactions and updates how they apply to your budgets. Additionally, you can manage multiple accounts on Mint, which gives you the ability to have a dashboard for each of your stores. A bookkeeping tool that is similar to Mint, Outright calculates taxes and provides crisp profitability reports. Once you’ve inputted your bank, credit card and loan information, this app takes care of the excel hell that comes with generating sales and tax data. This app also helps with filing taxes, filling out your Schedule C sheet automatically based on your expense categories. To get some of the juicier features you’ll have to get Outright Plus, which is $9.95/month, but the app is worth taking a look if taxes give you a hard time. 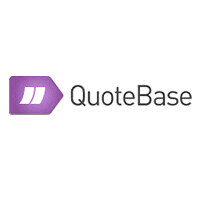 Quotebase lets you create beautiful PDF quote files which you can email as attachments. This app can also be helpful to businesses with repeat customers as it organizes them into dropdown menus for easy distribution. An interesting element Quotebase implements is their multi-currency option, allowing users to charge in their local currency or that of their clients. 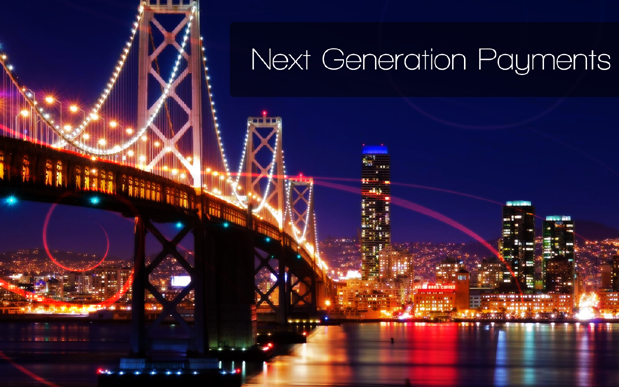 This is especially useful for businesses that need to send out high volumes of quotes or deal with international vendors. Expensify takes the complication out of collecting and organizing receipts by allowing you to scan receipts from a smartphone camera. You can also upload and email the receipts as email attachments. Ah, the sweet sound of organization. LearnVest is financial planning made into a sport. You’re armed with the LearnVest app and given a CPA to coach you through the challenges which are set for you. If need the motivation to follow-through on your financial goals, this this could be a very valuable tool for you. This is a leading accounting software for small businesses. While it wouldn’t qualify as bookkeeping software, it tracks expenses, time takes online payments and can send invoices to your clients. FreshBooks starts with a 30-Day Free Trial and then paid packages start at $19.95/month. We hope that these suggestions help you stay ahead of the curve and keep the burden off your budgets. Let us know in the comments below if you’ve found other apps that help your small business with its money matters.